REVIEW: "Jurassic World" harkens back to the first film in many ways and as the nostalgia pours in so does that suspense as dinos run amok on the island. What could be better? I love the “Jurassic Park” franchise. And I have enjoyed all three films thus far, each in their own way. 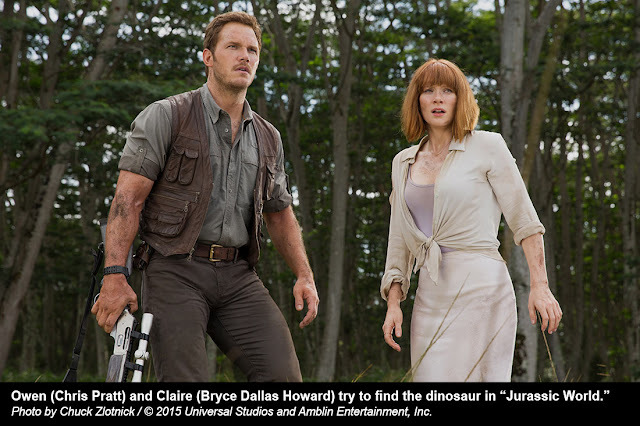 Granted, nothing can top the first one, but “Jurassic World” comes awfully close. As I wrote about earlier this week, Steven Spielberg’s Oscar-winning dino-adventure is my first cinematic memory. It held my imagination captive and it also scared the living daylights out of me. One of my favorite experiences was going to Universal Studios’ Islands of Adventure park and experiencing the Jurassic Park area. There is nothing quite so thrilling as walking under the iconic archway as John Williams’ memorable score plays in the background. That’s the world that was created for all of us 22 years ago. “Jurassic World,” directed by Colin Trevorrow, is a continuation of that world, but bigger and bolder. Spielberg also served as executive producer so his mark is there. 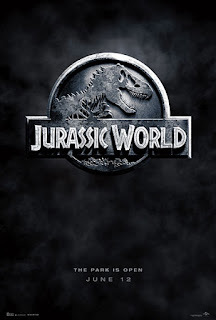 This new film harkens back to the first film in many ways and as the nostalgia pours in so does that suspense as dinos run amok on the island. Sound familiar? The whole experience is familiar. 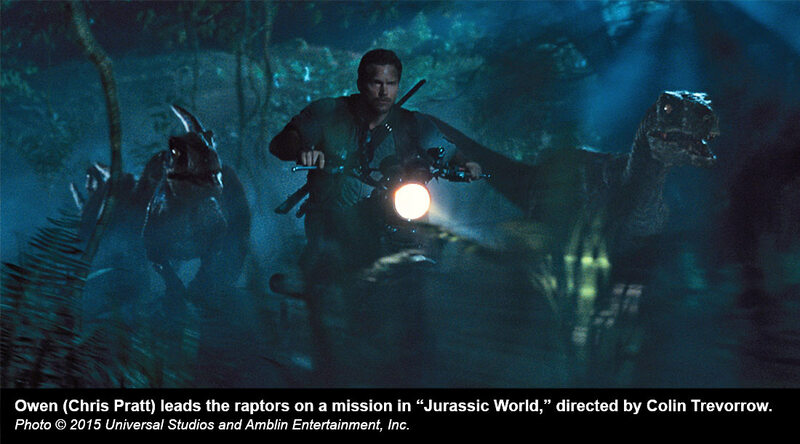 What Trevorrow, his crew, along with Chris Pratt and Bryce Dallas Howard and the rest of the actors accomplish is recreating what was so special about that first film. It does what any great art strives to do: It take us to another place and time. 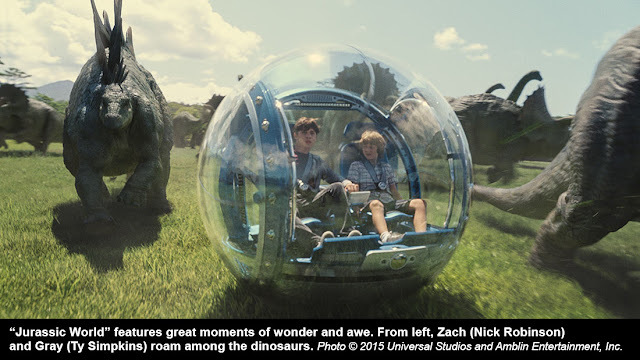 “Jurassic World” has the perfect blend of comedy, drama, adventure, awe and suspense. You will laugh and cry and jump out of your seat. 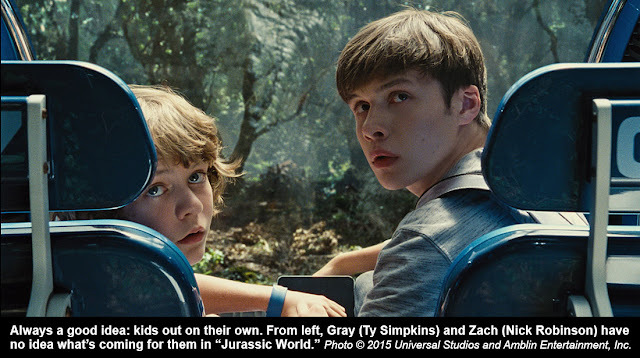 It also wouldn’t be a “Jurassic Park” film without kids. 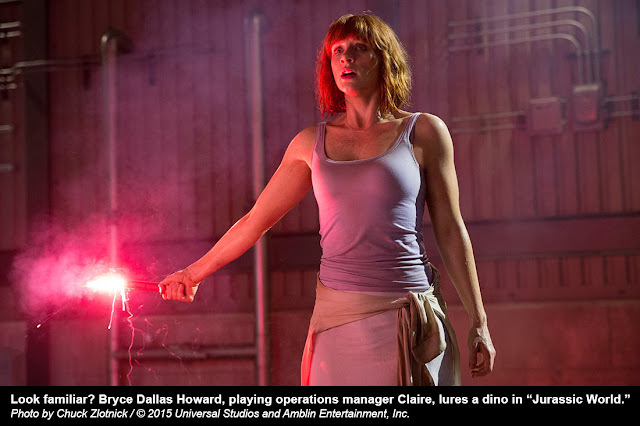 Dallas Howard’s Claire runs the theme park, in all of its corporate sponsored glory, and her nephews are visiting on vacation — of course. Zach (Nick Robinson) is the eldest and his wide-eyed younger brother Gray (Ty Simpkins) steals the movie. This time around, scientists on the island have created a hybrid super-dinosaur, the Indominus Rex — what could do wrong? Everything. 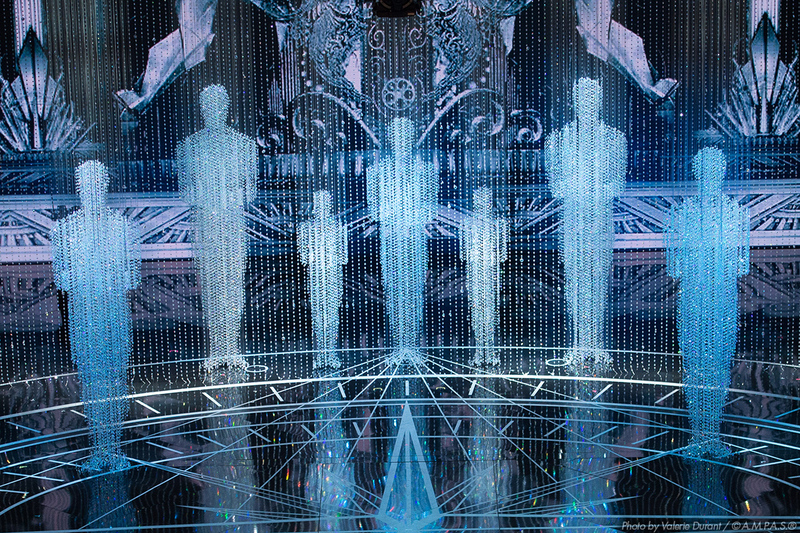 Go, run to the theater and experience this pop culture moment. If you take your 6-year-old son, maybe he’ll thank you one day for giving him his first cinematic memory. Rated PG-13 for intense science fiction terror.